We welcome any inquiry concerning your pipe organ needs. Assessments and estimates are always at NO COST to you. We love what we do. Let us share our enthusiasm with you. Give us a call and a challenge. 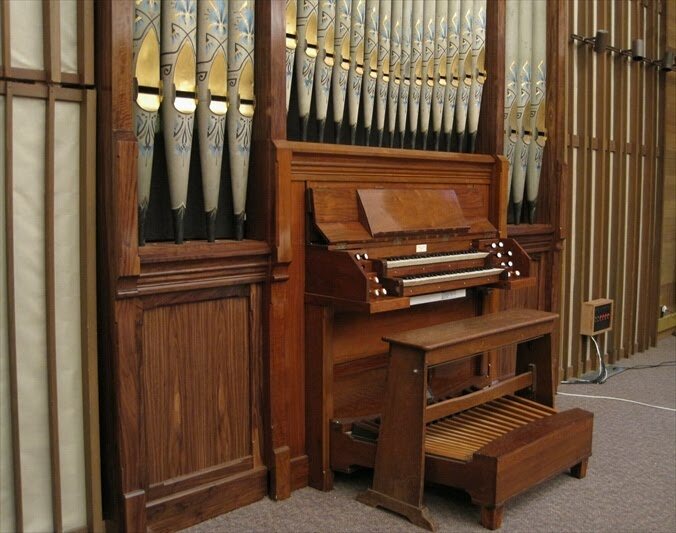 We are committed to helping you own the pipe organ that is right for your church, school, teaching-studio or home. We can design, build rebuild or identify and re-locate a fine instrument for you at a substantial saving over any electronic substitute. We will refurbish the instrument you already have and give it renewed life and reliability for much longer than any digital or electronic imitation. We also specialize in organ, chest, regulator, bellows releathering and renewing any portion of the organ to return it to good service. We have a unique interest and special expertise in older organs particularly of the 19th and early 20th century.